Inclusion Plus India is targeting entrepreneurs who are leading innovation in the financial services industry aimed at low-to-moderate income households. The applicants will compete for a share of $150,000 USD in awards. MetLife Foundation and Verb announced the launch of the global innovation competition “Inclusion Plus” in India, today. Home to a fifth of the world’s unbanked adults, India was ranked first for country commitment to achieving the goal of financial inclusion. Inclusion Plus India is targeting entrepreneurs who are leading innovation in the financial services industry aimed at low-to-moderate income households. The applicants will compete for a share of $150,000 USD in awards. Participating entrepreneurs advancing to the semifinal round will be paired with PNB MetLife associates who will mentor and share their expertise and knowledge. “PNB MetLife is delighted to be a part of the Inclusion Plus competition,” said Tarun Chugh, MD and CEO, PNB MetLife India. “This platform will enable us to support innovative ideas by providing solutions that will increase access to sustainable financial services for the unbanked,” he said. 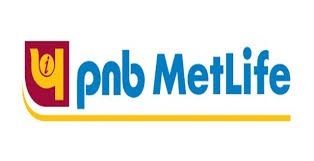 MetLife Foundation anticipates that Inclusion Plus will attract more than 100 social ventures across India and will engage a significant number of PNB MetLife India staff to serve as mentors and judges for the competition. “Our goal is to help our clients build social innovation ecosystems,” says Suzi Sosa, CEO, Verb. “Financial well-being is a complex problem that cannot be solved by any single solution. Our competition platform enables us to engage entrepreneurs, investors, corporate partners, mentors and thousands of people from the general public. By strengthening connections among these groups, we don’t just find one great idea, we actually strengthen the innovation ecosystem,” he said. The competition will culminate with a final event in early April 2017 where the winners will be announced.